Hey guys, the entire state of Kentucky is under a winter storm WARNING as we head into one of the biggest snow storms we have seen in over a decade. Snow will spread over the area between 2AM and 4AM. Heavy snow showers will be persistent until the evening hours on Monday. These snow showers will be accompanied by some very cold temps, so every flake that falls will stick. Here’s my take on how much snow we will receive. Stay tuned, I’ll have more later. 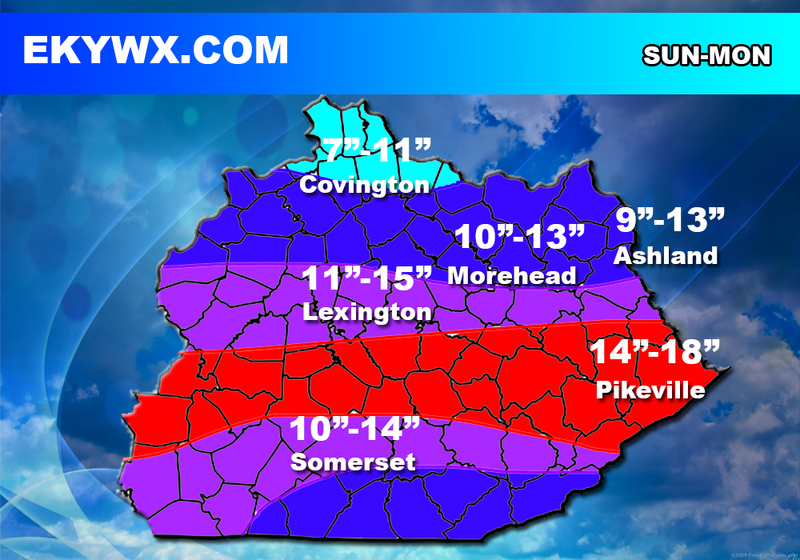 I’m pretty sure this is the final call for snowfall, however, I’ll have plenty of observations and reports to relay. Thanks for stopping by! « Get Ready, Here Comes The Snow!